Like most other bloggers I love the Collection concealer, I wonder what their new Illuminating concealer would be like. A YSL Touche Eclat dupe perhaps? Since moving house I've completely failed at keeping my makeup brushes clean. Baby Shampoo is a bit of an ordeal and my old brush cleaner is nearly finished so the NYX Brush cleaner definitely caught my eye. I've tried a couple of fixing mists, super pricey to so cheap it might have just been water. I fancy giving another a go and L'Oreal's is a middle-of-the-road price with good reviews so far. I love Soap and Glory. It amazes me that their range keeps growing. Though anti-aging it's a huge priority for me just now hydration is. Speed Plump mousse sounds intriguing with their bubble-boost technology. There's something exciting about a palette. Two that stood out to me are the Blushed Nudes and Highlight and Contour. Maybelline looks like they've been inspired by Urban Decay on that one. 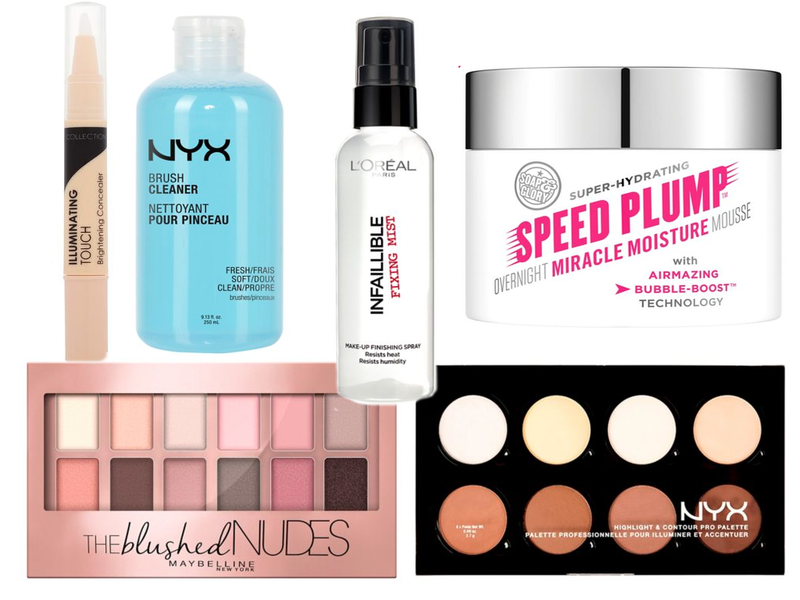 Were your Christmas gift bags stuffed full of beauty products this year? 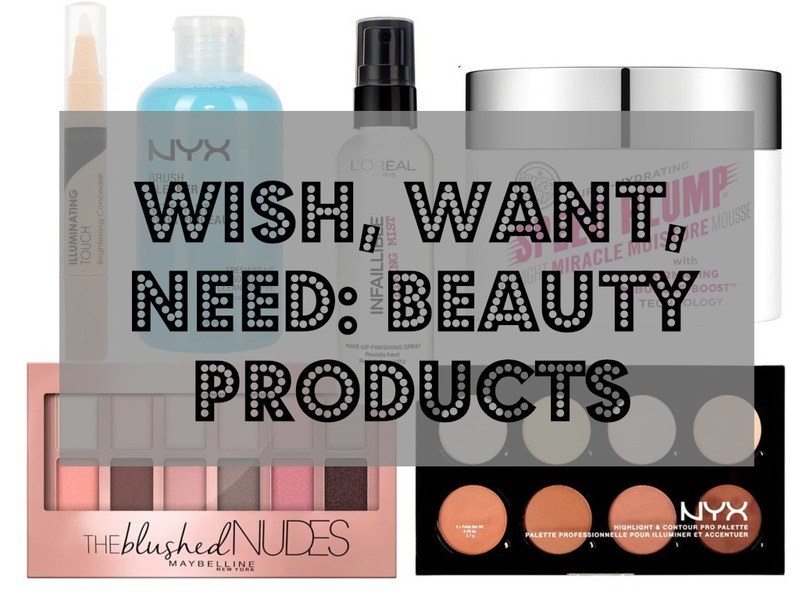 What beauty products are on your wishlist?